Previously, Hajji told Tunisia Live, books were stopped at the airport by the country’s Ministry of Interior. Now, the Al Kitab bookshop doesn’t face problems importing books. However, the MOI did seize the store’s copies of Moi, Mohamed, Esclave Moderne (Me, Mohamed, a Modern Slave) by Mohamed Kemigue. They returned them to the shop one week later, apparently after realizing that the book was not about the prophet Mohamed. Religion was also the motivation behind the recent high-profile trial of Nabil Karoui, who was charged for airing Persepolis, a film based on the popular graphic novel by Marjane Satrapi. 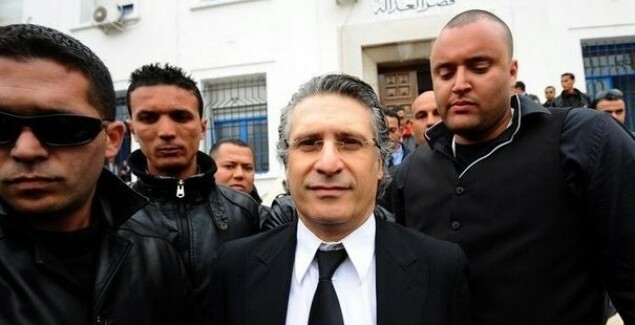 Karoui was accused both of “blasphemy” and of “disturbing public order,” and fined 2,400 dinars. Some editions of French weeklies have also recently been kept from newsstands for offending religious sensibilities, according to UNCUT. But while religious censorship is the headline-maker, it’s not the only form. Criticism of the army has also been met with censorship, according to Global Voices blogger Afef Abrougui, as in the case of blogger Nabil Hajlaoui, sentenced to two months in prison. Also, pics of women in their skivvies and such were also under fire. Corruption and party-cronyism in the news and book business is not precisely censorship, but they often has similar results. Blogger Lina Ben Mhenni, “A Tunisian Girl,” writes about a recent hunger strike by journalists to protest corruption and favoritism in print media. But, like the hunger-striking journalists, Tunisian writers and activists are not simply sleeping through this wave of censorship. A number of pro-speech efforts have been launched. And earlier this month — on the occasion of World Press Freedom Day — the blog Nawaat and the Tunisia Monitoring Group of the International Freedom of Expression Exchange launched a major free-speech campaign. Advertisements in Tunisian newspapers, billboard campaigns, anti-censorship videos, training sessions, and workshops will all be part of this initiative, according to Global Voices. Organizers also plan to publish an anthology, Fleeting Words, which will bring together “articles, commentaries and poems written during and after the Ben Ali regime. Some images and videos from the campaign here.